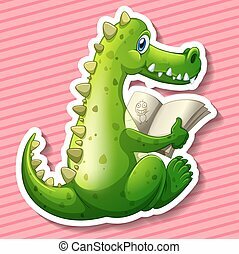 Dragon reading. 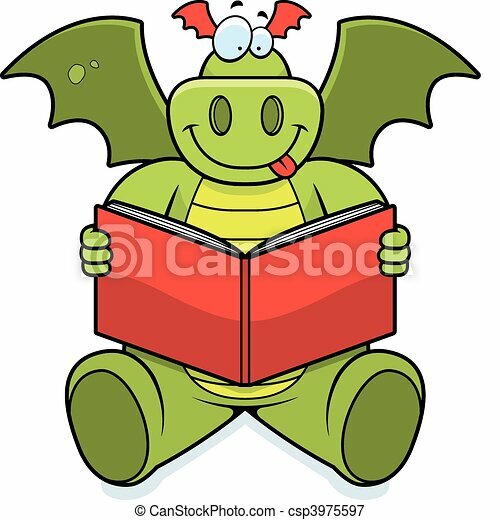 A happy cartoon dragon reading a book. 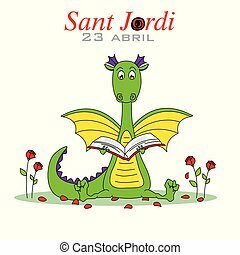 A happy cartoon dragon reading a book. 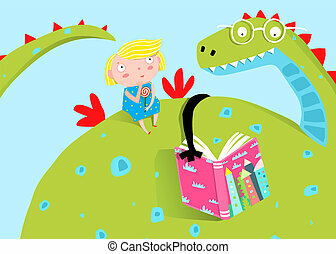 Fairy tale dragon reading a book to kids cartoon. 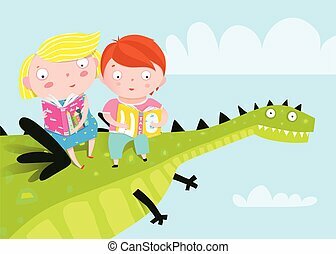 Cute children flying in the sky fairy tale dragon reading books. 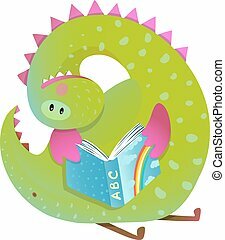 Fairy tale dragon reading a book to children cartoon. 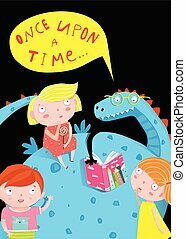 Fairy tale dragon reading a book to kids in darkness. 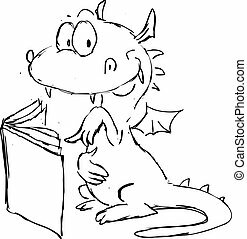 Red Dragon Reading A Book Illustration. 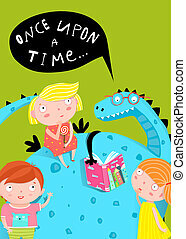 Silly Childish Drawing Isolated On White Background. 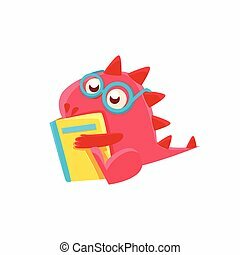 Funny Fantastic Animal Colorful Vector Sticker. 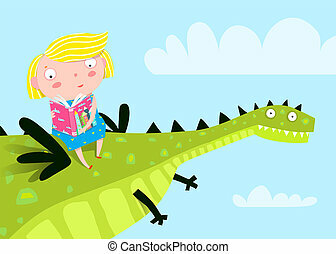 Fairy tale dragon reading a book to a girl child cartoon. 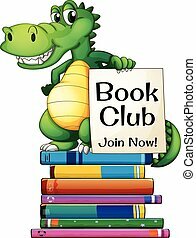 Magic dragon the book and little girl. 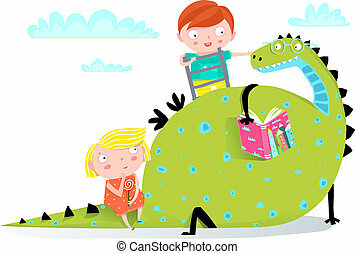 Monster for children, funny happy dinosaur drawing. Vector illustration. 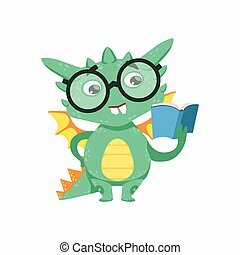 Little Anime Style Smart Bookworm Baby Dragon Reading A Book Cartoon Character Emoji Illustration. 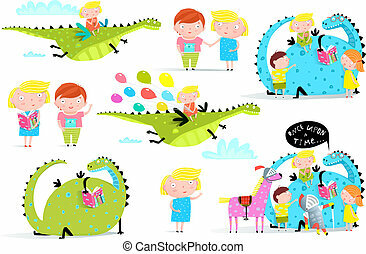 Vector Childish Emoticon Drawing With Fantasy Dragon-like Cute Creature. 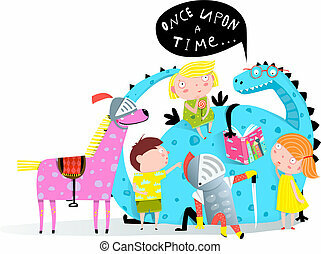 Fairy tale funny dragon reading book to children and knight with horse.